Carmel has grown from a one-stoplight farming community to one of the top places to live in the nation. 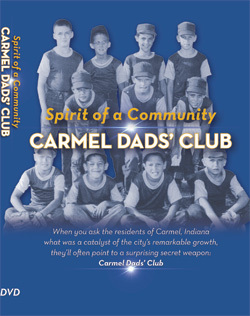 And when you ask those who were around since the beginning, they'll often point to a surprising secret weapon in their success: the Carmel Dad' Club, its volunteer youth sports organization. This new documentary, produced by WFYI and Good Vibes Media, will explore how the club that started in the late 1950s became a local rite of passage - fostering community spirit, pride and an appreciation for competitive edge.